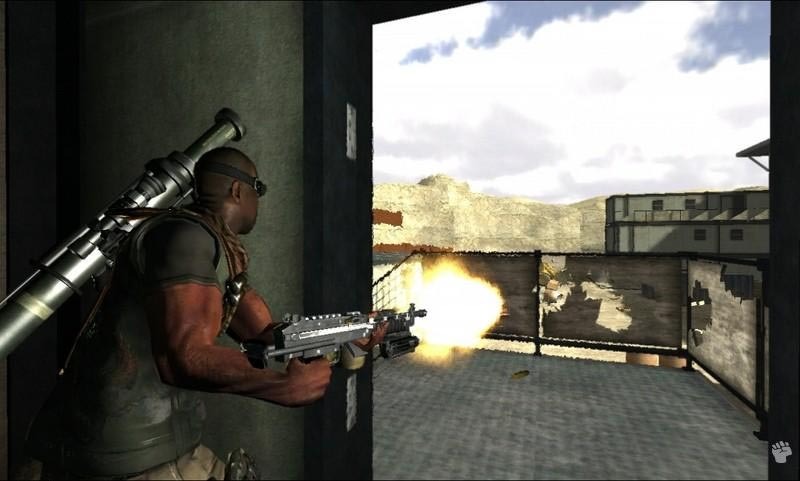 It seems that the flavour of the year are "buddy" shooters such as Army of Two and Kane & Lynch, and now the PC port of Conflict: Denied Ops on XBox 360 which once again allows the gamer to join an "AI" friend in order to shoot their way to victory. 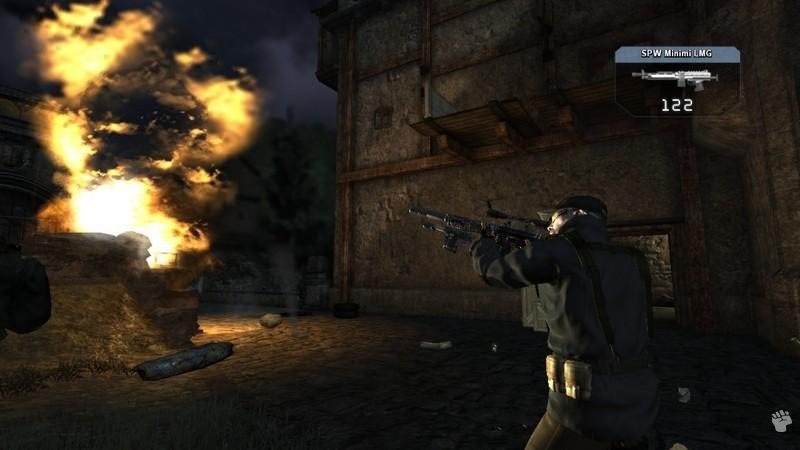 Although Army of Men was an extremely clever premise, Conflict: Denied Ops is more your traditional shooter which still allows you order your "buddy" around in order to perform basic commands. This basically means you cannot sit back on your laurels and let your friend do all the work, the gamer is still in charge and you must "think" your way to victory. 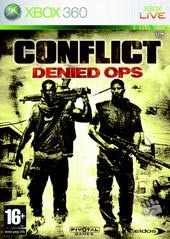 The story of Conflict: Denied Ops is so clichéd that it will may you laugh at times and revolves two army colleagues, an African-American named Lang who is the heavy gunner and a country red neck named Graves who is the sniper. Even though it sounds like it's out of a bad 80's action movie, the banter between both characters is quite entertaining, even though most of it is forced, cheesy and clichéd. Both Lang and Graves must traverse the world, completing missions for their government such as finding nuclear warheads, escorting characters and good old fashioned "blow 'em up" fun. You do however need to balance both the characters special abilities, such as using Lang in heavy firefight or Graves for sniping. The title features basic commands such as Follow, Move, Open Fire and Hold Fire to assist you throughout the game. The main nuisance of the title is that if you don't give your colleague a command, he will just wait at the start of the mission which is a pain. Generally you will be playing Lang more in the title due to his heavy firepower, however at certain points you will need to swap over to Graves to complete a set objective. The command system of the title is rather straight forwarded and is quite easy to master with the XBox 360 controls. The artificial intelligence of the title is a little lapse and most gamers should have no problem in defeating their foes. The title also allows you to take control of various vehicles which seems a little forced and is not as enjoyable as the Call of Duty series. 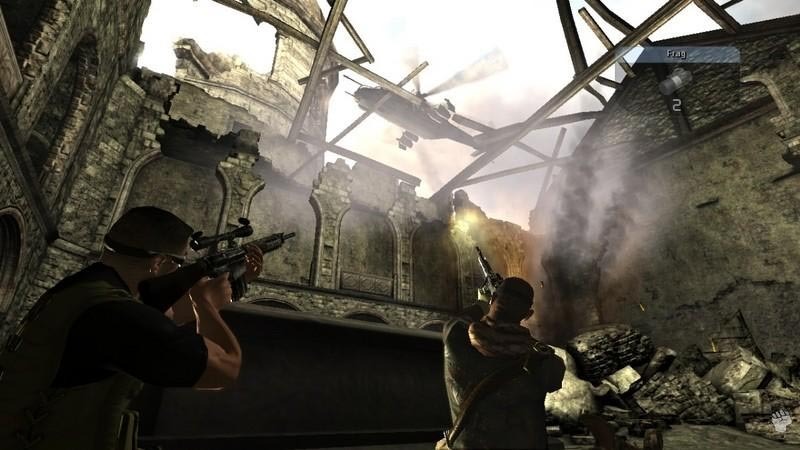 After you have completed the 10 or so missions in the title, gamers can also play against their friends in an interesting split screen co-operative mode (it also supports XBox live) but at the end of the day, Conflict: Denied Ops is actually a little uninspiring. It's not that it's a bad game, it just offers very little to this already overcrowded market. Graphically, the title feels dated when compared to titles such as Army of Two or Kane & Lynch. The backgrounds are lacking the details of these two other games which gives the feeling that it is a game created several years ago. The characters however are well animated, although the textures a little lacking in the detailed department. As mentioned before, although the chatter between the two characters is entertaining, it contains way too many clichés between these characters. Musically, Conflict: Denied Ops is your stock standard military soundtrack with a healthy dose of realistic sound effects. In conclusion, Conflict: Denied Ops would have been a more enjoyable experience if it had been released several years ago and this is just your stock standard first person shooter with a touch of squad based mechanics and graphics and sound that don't offer anything to genre. There is also a basic deathmatch and team deatmatch multiplayer games via XBox Live that you can play with up to 16 players, however the title may not warrant another gaming session.